So I went to Guitar Center yesterday and fell in love with the American Series C25/CRe for $1,799. I would buy it but its just to far out of my budget right now. The main reason I like it is because of the Cedar and Rosewood warm tone. I think I saw that there is a Cascade C25/CRe coming out and that would be wonderful- but I also LOVE the look of the Atlas Stage C25/SRe with the beautiful inlays and binding. But I've heard it does not have much volume. I tried it out at GC but I can't say I noticed that problem (i was also in the beautiful acoustically balanced room they have to make it sound better). It also has a VERY friendly price tag at $999.00. FYI, I will be plugging in most of the time so will the volume problem be much of an issue? Might be even better for me because less chance of feedback? Welcome Trevor to TSS. Since you are plugging in most of the time I don't see how volume is an issue. Be sure to plug in whatever guitar you are looking at buying into the same or as similar as possible to yours when trying them out. GC has acoustic amps in their acoustic room for trial. For what it's worth we here in this house love the Breedloves because of their rich balanced volume. Hey Trevor. Welcome to the forum! First of all I'm of the opinion that asking for others opinions is fine, but it's your ears that matter. I am referring to your statement "I've heard it does not have much volume" Who said it, and in what context, and compared to what? Again, if you are happy with the TONE, and didnt notice any volume issues dont give it another thought. As for the plugged in question, the Atlas series uses a UST, or undersaddle transducer as the pick up. UST's are not prone to feedback issues. Regardless of the acoustic volume of the guitar. Thats one of the biggest benefits of a UST. The downside is that they dont deliver as authentic a reprodution of some of the other pick up systems (SBT's, Dual source systems with microphones etc.) but with a little EQ'ing, they can do a pretty good job. Hope this helps in your quest for that first Breedlove! "For what it's worth we here in this house love the Breedloves because of their rich balanced volume." Would you say that plugging in won't have as nice of a balanced volume then? Or are you saying maybe going Cascade might be the better rout because it has a better volume projection? Idk, what would you guys do? Slightly better tone (to my ears) or much prettier and cheaper? I'm on the fence! Forgot to ask. I know the American Series has a bolt on neck while the Cascade has a dovetail neck. Wouldn't the bolt on neck be better/more substantial? Wish I could get a nice Master Class!! So nice! Being the owner of two MC Breedloves I can attest to their niceness. Very, very nice. Laminates have their pluses as well Trevor. Much more stable and less affected by things like humidity and getting knocked over to name a few. Being a laminate versus a solid Koa will affect it's sound but if it is too much only you can decide. 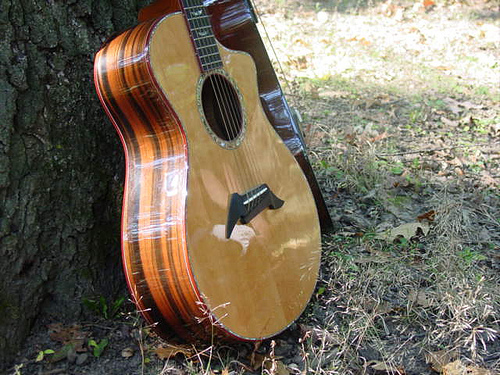 Many people feel the sound is much more determined by the top wood choice than the back and or sides. I tend to be in this camp. For what it is worth. Guild's D25 's with laminated arched Mahogany backs are legendary for their big, powerful, balanced sound, with sustain for miles. Laminate needn't mean "cheap". So do you guys think the Atlas studio c25/ck would be a good buy? no music store around me has a koa wood guitar so if you guys know, what would be the sound difference between koa lam and rosewood?